Marketing products takes a lot of creativity. According to CBS News, the average American sees over 5,000 advertising messages daily. To make an impact when marketing products, your advertising, event planning & marketing strategies have to incorporate eye-catching techniques that leave an impression that lasts long enough to get consumers into the stores to buy. 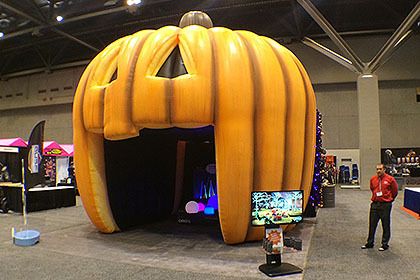 This is where Landmark Creations inflatables really shine! When businesses in Mount Vernon, Washington, need to stand out at an event, they know just whom to turn to: Ideal Rent-All. 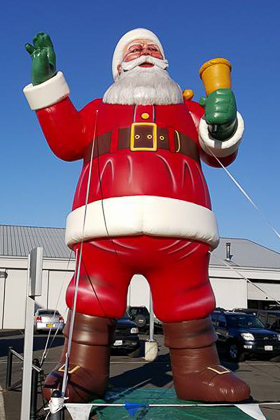 The company prides itself on maintaining the highest quality standards, as well as stocking unusual inflatables suitable for nearly any occasion. 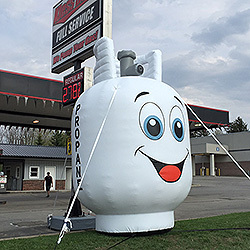 Inflatable characters are a long-time favorite, and help clients attract attention at a wide variety of events. Lightweight and portable, inflatables are easy to set up and quick to deflate, and don't require any special training to use. 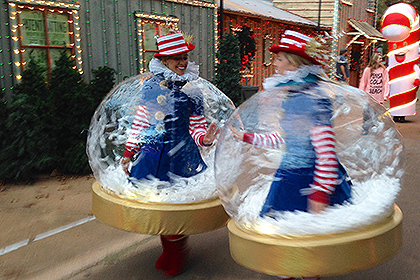 What do you get when you cross a cold-air inflatable balloon with a Segway? A Segwaloon! 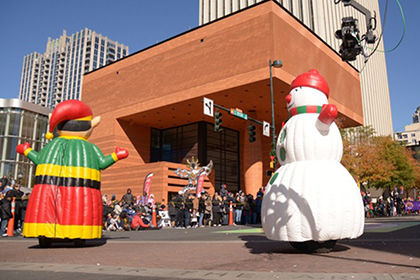 The concept and the name were created by Robert Krumbine, Executive Producer of the Charlotte Center City Partners, for the Novant Health Thanksgiving Day Parade. Saying that the Zombie Pub Crawl is the time of your life is a bit of an oxymoron. Zombies, after all, are dead. 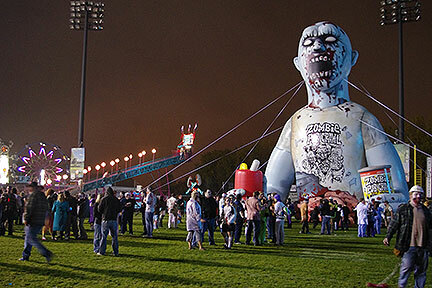 Nonetheless, for one night a year residents and visitors from far and wide are invited to let their inner zombies run free in the streets of Minneapolis for an evening of semi-civilized mayhem. When your goal is to help customers get as dirty as possible (while having an absolute blast! ), you get excited. 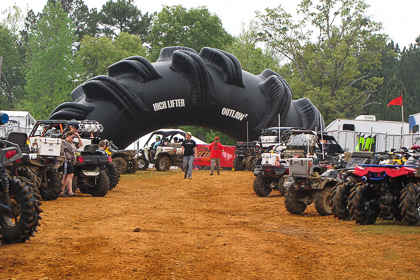 After all, what could be more fun than riding a 4-wheeler through mud-slick trails, mud bogs, courses, and other sloppy obstacles? As the company behind many of the country's biggest outdoor events, Oak Island Creative knows what it takes to "wow" the crowds. Holiday-themed festivals and other gatherings are especially popular among Oak Island's clients, and autumn events call for something extra special. 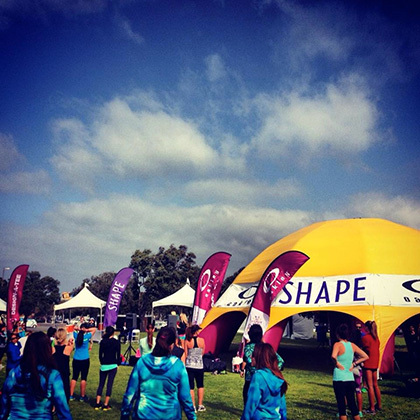 SKA Events (an event production company) needed a portable shelter to serve as a recognizable structure at the SHAPE Diva Dash 5K nationwide series of obstacle races. 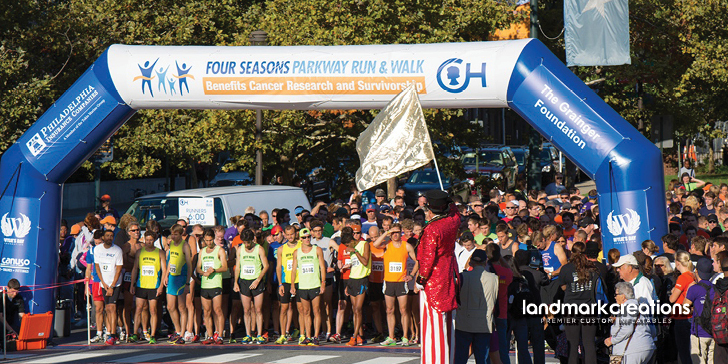 Their criteria included being large enough to house sponsor displays, prize giveaways and a lounge area. SKA Events also wanted flexibility with the use of the shelter since each market for the Diva Dash was unique. Everywhere you look, you see advertising. And, if you're like most people, you ignore it. One reason is that we are bombarded with marketing messages on an ongoing basis. Some estimates range from 2,000 to 3,000 exposures per day. Another reason advertising has become less effective is because it lacks creativity. When you own / operate a gas station, customers generally think of you for fuel and perhaps sodas or candy. Often, however, other services might be forgotten because they aren't needed as regularly. This is precisely what Kless Boys experienced. What's 20 feet tall, weighs 80 pounds and makes your mouth water? An inflatable product replica of McDonald's new McWrap. In a sea of vans, tents and people, the Dalton Agency needed a clever way to capture attention from far and wide for its client (McDonald's) at events. 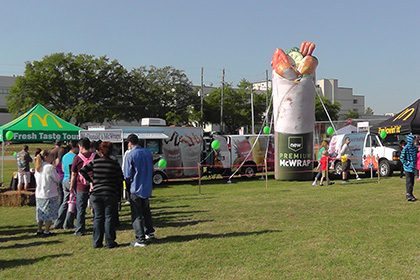 The agency decided on an inflatable product replica of McDonald's new McWrap because the shape, size and color gave the restaurant a competitive edge in a crowd. It's hard to stand out at a crowded trade show. That's why Cayman Carter, sales executive for S & B Filters, commissioned Landmark Creations to build a giant inflatable tent. 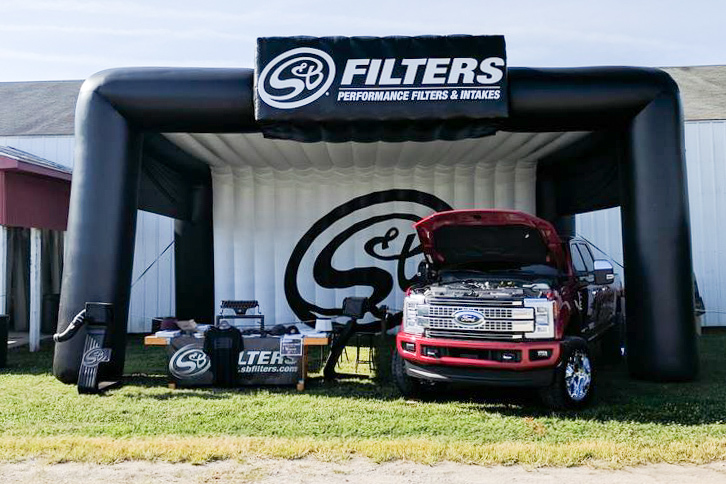 "Our goal," he says, "was to establish a bigger presence at tradeshows and events in a more convenient, cost-effective, and different way." 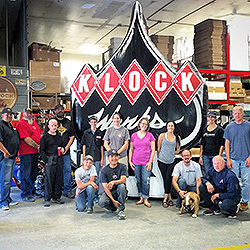 To hear Laura Klock, from Klock Werks tell it, the company's new inflatable logo is the fulfillment of a long-term dream. 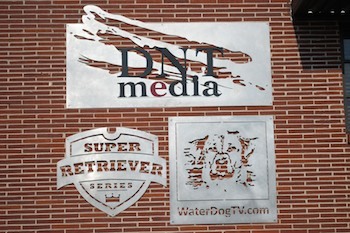 "My husband, Brian Klock, has wanted an inflatable of our logo for many years. It was honestly something we never put high on the list because we simply thought it would be cost prohibitive. I'm so happy he got his wish. It's amazing!"